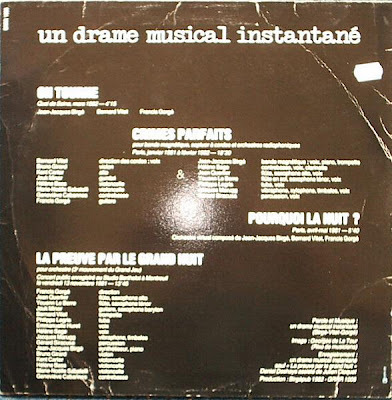 Following my previous post (ages ago) of Un Drame Musical Instantane's Sous les mers LP here comes their 3rd recording from 1982 on the legendary GRRR label. Nothing to add here .Great improvised experimental music, mixing various influences (jazz, rock, music concrete, prog rock) by one of the masters of the genre. Amazing piano and violin works! What a F. Modern and strange music! This kind of sound, in a amazing and dreadful way, tells a lot about what we are and what kind of hell is the world where we live. Congratulations for the fantastic blog! 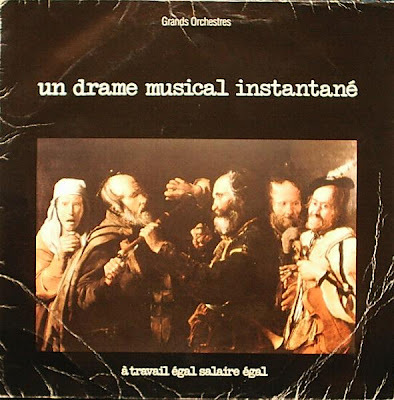 Un groupe remarquable et un excellent disque. La variété musicale des différentes plages est fort appréciable, qui plus est.